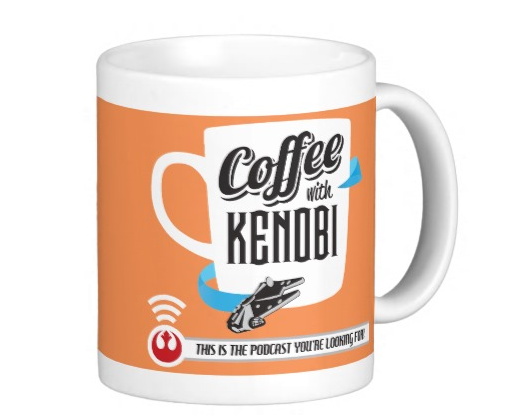 If you happen to be in Orlando, Florida, this Thanksgiving season, be sure to come to the Coffee With Kenobi Meet Up with co-host Dan Z and Star Wars Weekends Special Correspondent Aaron Harris on Friday, November 27th, from 6:30-7:30 pm, Eastern standard time! The two will be having a cup of coffee on Main Street U.S.A. at Starbucks in the Magic Kingdom, and talking all things Star Wars. There will be a live Q and A, and you will get a chance to answer our five questions. Check out our Facebook event page for more details! Next article Harrison Ford on Jimmy Kimmel Live, Halloween Edition -- Video Highlights!